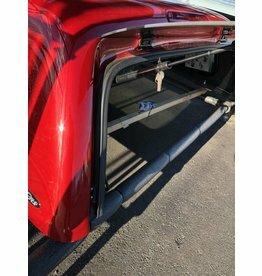 Cab-Hi model Snugtop that will fit your 2015-2019 ford F150 Crew Cab with 6'6 bed. This canopy is currently painted W6 Green Gem Green. This Cab-Hi model Snugtop will fit your 2015-2019 Ford F150 Crew Cab 5'6 bed. It has a fully carpeted interior,an upgraded front window and is currently painted YZ Oxford White. This in stock Sport HiLiner (S/N L73203) fits 2014-2019 Double Cab 6'6 bed Toyota Tundras. It has a fully lined interior and sliding side windows. It is currently painted 040 Super White. This Rebel model Snugtop will fit your 2005-2015 Toyota Tacoma Double Cab with a 6'5 bed. It is currently painted 3R3 Barcelona Red.